The island of Panarea was small and green, its water straordinarimanete clear, people polite and accommodating. There were roads that allowed the arrival of cars, there was no electricity, the water needed to pump it from tanks with crude hand tools, communications difficult, you could talk to the mainland only by radio and rarely could figure out something. The inhabitants of Panarea were less than two hundred, most of them elderly. On the island was awake, and reigned, an old Leopard. He was a doctor and was called Joseph Cincotta. He was a man of great intelligence, by imposing figure, sharp eyes, speech ironic and cryptic. The main business of the old Cincotta consisted, in addition to exercising the profession of doctor, in buying homes and raising the children. He bought dozens of homes. She had five children, three girls and two boys. Then it was easy to buy. Emigrants sold them recently, some to cut all ties with the island ever loved. Cincotta were upon time to spend, and so applied in uniting brothers, sisters, cousins, often owners of the same house, or tiny pieces of land with a ruin to be renovated. He was born the village Cincotta. The houses bought by the old doctor, divided into rooms with two beds summarily furnished, were rented to the first tourists discovered Panarea. In a central restaurant, on a terrace overlooking the sea, they were served huge plates of pstasciutta and tomato salads. 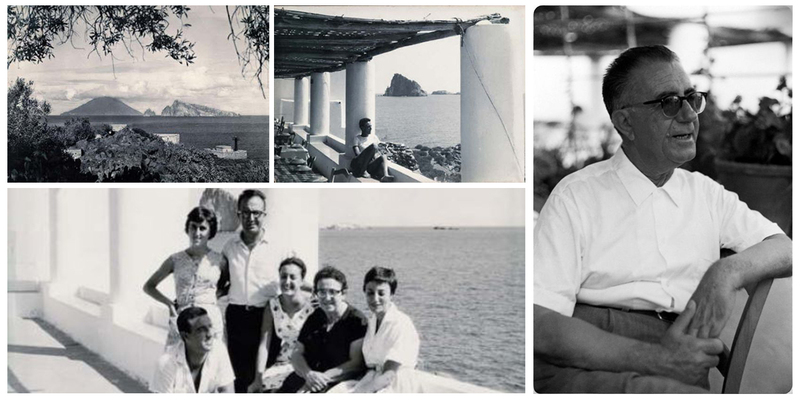 It was the birth of the Hotel Cincotta to put in motion the tourism in Panarea. The old doctor was right when he said that this was one of the most beautiful places in the world and that people would come to see it.